In the absence of this data, focusing on the roiling political conversations becomes much easier. As we have said before, we encourage you to pay attention to how the economy is performing—not what the headlines are blaring. Rather than recount the policy debates and political back-and-forth, we will discuss three important economic developments on our horizon: revised GDP, February CPI, and Fed interest rate deliberations. The Bottom Line: GDP is key in measuring the U.S. economy’s strength. Any upward revisions would signal our economy is growing faster than the initial readings indicated. In January, the CPI experienced its largest month-over-month jump since 2013.7http://www.ftportfolios.com/Commentary/EconomicResearch/2017/2/15/the-consumer-price-index-increased-0.6percent-in-january The upcoming February report will help to show whether prices are continuing to increase and how the cost of living is changing. An easy way to serve this Asian-inspired entree. Preheat oven to 450° or prep grill to medium-high heat. 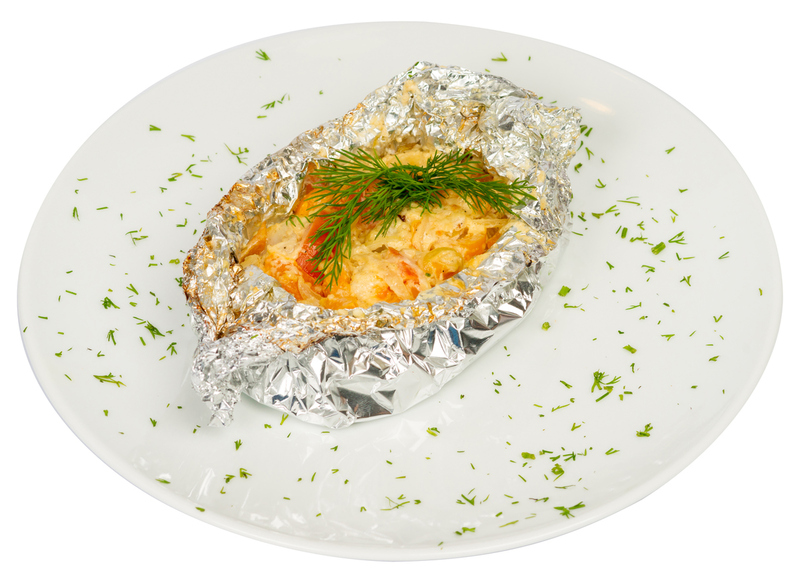 Cut 4 pieces of non-stick aluminum foil, large enough to wrap each piece of fish. Place 1/4 of onions and carrots into the center of each piece of aluminum foil. Top each onion and carrot pile with a salmon filet. Sprinkle ginger on salmon filets. Drizzle sesame oil and rice vinegar on each filet. Bring up ends of one foil square. Seal packet by double-folding ends and top, leaving space inside for heat to circulate. Repeat foil prep for all packets. Garnish with a pinch of fennel. Place 4 packets on baking sheet. Bake for 16 to 20 minutes. Place packets directly on heated grill and close lid. Grill for 14 to 18 minutes. The IRS requires taxpayers to claim gains and losses they have on any capital assets they own when filing their personal taxes. How much you pay in taxes and whether or not you can deduct items depends on your unique financial details. Here are some details to keep in mind as you file your taxes this year. You hold capital assets when you buy both physical and investment properties. Physical property includes items like a home or car. Investment property includes assets such as stocks and bonds. What are gains and losses? Whenever you sell a capital asset that you own, you will have either a gain (profit) or loss (deficit). You calculate your gain or loss by determining the difference between the basis (typically what you paid for the capital asset) and what you received after the sale. When filing your taxes, your income must include all capital gains. Depending on how much income you made, you may have to pay the 3.8% Net Investment Income Tax on your capital gains. Taxpayers are able to deduct any financial losses on their investment properties. However, any physical properties you own for personal use do not count toward your deductible losses. You may be able to carry over your total net capital losses if this amount is more than the amount you’re allowed to deduct. New golfers often use clubs that don’t fit their current abilities and playing style. Just because you find a set for sale or purchase the top brand on the market doesn’t mean they’re the right clubs for you. If you keep having problems with your swing, you may be using improperly fitted clubs. As a beginner, you want a good balance of forgiveness in your clubs mixed with control. As you start to improve, you’ll want to make sure you upgrade your clubs to reflect your new skill level. You know those times when you know you nailed your shot with the perfect stroke and backspin—and then it just falls flat without any spin? Many factors can cause this to happen, including the ball, club, or technique. On the other hand, your club’s grooves could be to blame. They need to be neat and clean to support the shot, especially if you’re using lofted clubs. Start a habit of checking and cleaning your grooves after every shot and before every game. If you keep them clean and still see your performance and spin falling, you probably need a shop to re-groove your clubs. These days, golfers often focus on distance over finesse and accuracy. And manufacturers design clubs to hit monster distances. As a result, new players often hit the ball too hard, thinking that if they swing hard enough, the ball will travel faster. What really happens, however, is you lose balance, tempo, and rhythm in your swing—and you might miss the ball’s center. You are also more likely to close your eyes, damaging your concentration and accuracy. Instead of focusing on speed, put your efforts into having a consistent swing that hits the ball’s center. Only after mastering your swing should you think about trying to pick up the speed. Living with chronic back pain can hurt your quality of life. While medications do exist to help lessen the pain, these simple tips can help you treat back pain at home. The position you sleep in each night may be directly affecting your back pain. And the worse the pain is, the more difficult it can be to get a good night’s sleep. To lessen your back pain at night, first make sure you’re sleeping on a mattress that is comfortably firm. Then, try laying on your side and place a pillow between your knees. This support will help you relieve back strain by keeping your spine in a neutral position. If you need to sleep on your back instead, place a pillow under your knees. Staying active with back pain may seem counterintuitive, but in reality, rest makes your back pain worse. Regular exercises, such as swimming, doing yoga, and walking, can help lessen your pain by strengthening and stretching back muscles. If you do need to rest, don’t do so for longer than two days and always make sure you get up slowly and carefully. You can help improve the pain and inflammation from your back pain by icing and heating the problem area multiple times a day, for 20 minutes in each session. For the first few days, focus on icing your back with an ice pack wrapped in a thin towel. Next, switch to heating your back for a few days with a heating pad or warm pack, which will relax your muscles and help send more blood to the problem area. Warm baths can also be great for soothing painful backs. Removing chemicals from drinking water is important to many people as they move toward greener, healthier living. Even though the Safe Drinking Water Act has protected our water since 1974, this law does not guarantee that all water currently meets health-safety guidelines. Here are some tips for how to check what’s in your water so you can match which filter will best serve your needs. Each year, your local water supplier will publish a consumer confidence report about the quality of your drinking water. You may also be able to find your locale’s report on the U.S. Environmental Protection Agency (EPA) Website. The Environmental Working Group has an online tool available to the public. You can access previous reports on your local drinking water, which includes a breakdown of various toxins and their levels. Carbon filters: These remove a number of impurities, including lead, PCBs, certain parasites, pesticides and herbicides, some levels of bacteria (such as Cryptosporidium and Giardia), and limited pharmaceuticals. Reverse-osmosis systems: These remove chemicals that carbon filters may allow through, such as perchlorate, sulfates, industrial chemicals, heavy metals, and pharmaceuticals. Ultraviolet light: These remove bacteria, and experts suggest you pair them with carbon filters.